We cater for and run courses for individuals, both children and adults, small groups, schools, corporate groups and other businesses. We work with anyone of whatever age and ability and offer one off sessions and short courses as appropriate to individual clients’ needs. 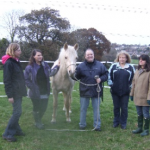 Through a Grant from The People’s Projects Bodster CIC are able to run “Whispering Ponies”. 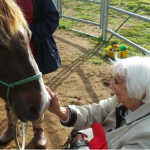 “Whispering Ponies” enables us to take our ponies to visit older people in residential homes on the Isle of Wight. 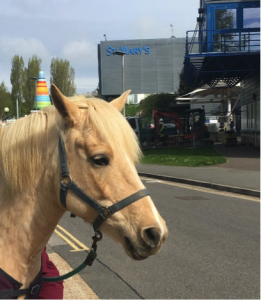 This project works with people with Dementia and those who are socially isolated to encourage interaction with St Mary’s hospital our ponies. We also invite local schools, when appropriate to come along with us to develop their understanding of Dementia. The project aims to stimulate social interaction and improve well-being for everyone involved. 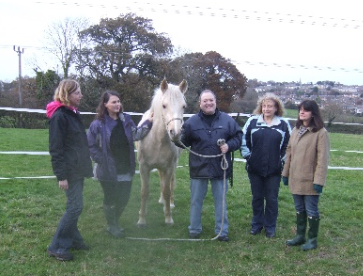 We also train volunteers to come with us on some of the visits, allowing us to develop the project further. 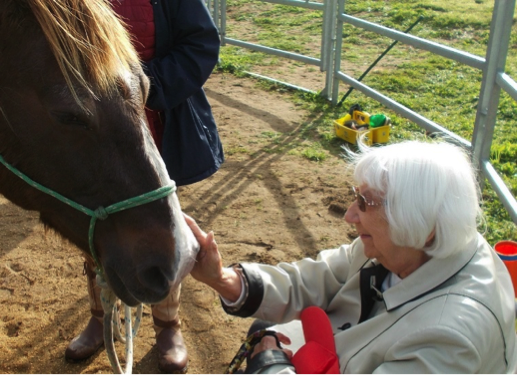 As part of each visit we produce immediate photographs of people interacting with the ponies to give to the residents. 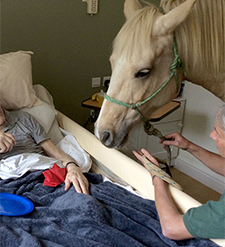 share their love of ponies. If you are interested in finding out more about this project do get in touch. Through our license as an EAQ Approved Centre we are able to offer regulated, national qualifications which are accredited by OCN London at Entry 3, Level 1 and Level 2. As such these qualifications are recognised throughout the UK. We can offer accredited courses to suit each learners’ individual needs and some of the most popular courses we offer are:- Work Preparation for Land Based Industries, Developing Personal Confidence and Self-Awareness, Healthy Living, Improving own learning and performance, measuring distance and length and understanding perimeter and area. 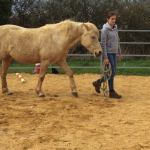 We follow the principles of Natural Horsemanship, having worked with Steve Halfpenny of Silversand Horsemanship, and can offer horse handling experiences for those who are interested in learning alternative styles of horsemanship, are getting back into horses and want to build confidence, or have not had anything to do with horses and want a starting point. 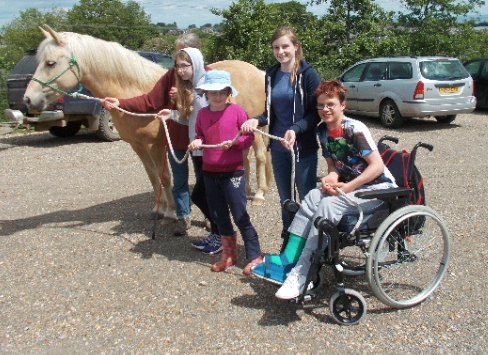 All horse handling sessions are offered ‘in hand’ (non-ridden) We recommend horse handling courses run as 1:1 sessions however we can cater for small groups. We at present have a small fund and therefore can offer reduced rates on a 30 guided learning hour Level 1 OCN London course in “Developing Personal Confidence and Self-Awareness” which we can offer through our license as an EAQ Approved Centre. We at present have a small fund and therefore can currentlyÂ run Short Breaks sessions most Saturdays from 10am to 3pm for learners who possess the new Isle of Wight Gateway Card. 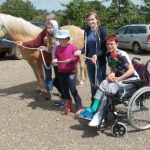 Short Breaks is a statutory service funded by every county by the Early Intervention Grant and aims to increase activity opportunities available for children and young people with disabilities and/or additional needs to participate in. This in turn provides a “short break” for parents/carers while their child or young person participates in a safe, fun and enjoyable activity which meets their needs.To achieve this, Short Breaks on the Isle of Wight offers a range of afterschool clubs, evening and weekend activities and overnight stays for children and young people (up to their 19th birthday). 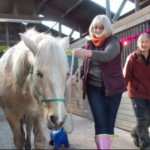 We have received a grant from Awards for All to run our project “Ponies Improving Mental Health.” This project will be a hands on course specifically for people with Mental health issues to help them increase their self-confidence and self-esteem. “Ponies Improving Mental Health” will enable 30 new learners to complete activities with our ponies on the ground (no riding involved), discuss their worries and issues and through mentoring support from our staff then be offered guidance to move on to future training in the local community. They will also gain an accredited OCN Level 1 in “Developing Personal Confidence and Self-Awareness”. Thus funds for this new project will empower people with new skills. It is a fully funded course so if you are interested in finding out more please do contact us. We have made links, through our work with older learners over 50 years of age with the Health Trainer Service on the Isle of Wight. 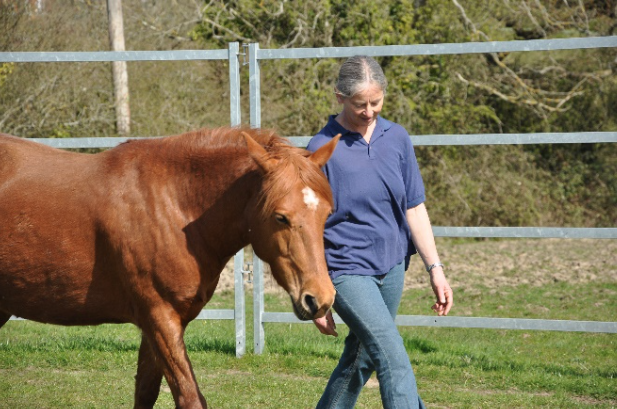 The value of equine therapy to help with “mental wellbeing” has been shown in various studies. 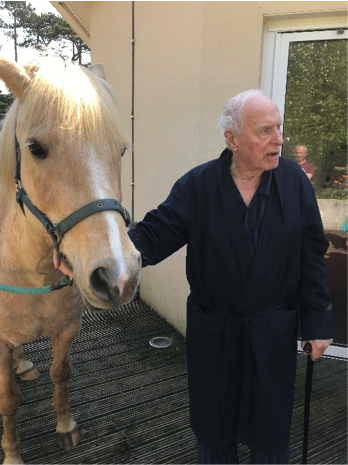 Thus some of our work will be to help improve the lives of people suffering from stress, Alzeimers, Dementia and other mental wellbeing issues. It has been proved that :-connecting with other people, being active, learning new skills, giving to others and becoming more aware of yourself and the world around you improves mental wellbeing. 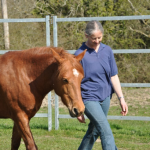 We address all these areas through equine therapy sessions. The value of the “Friday group” is that it is a relaxed, gentle session led by learners and includes socialising with people of similar age and needs. We also run “Team Building” courses for small groups ( maximum of 6 learners for various groups including corporate groups). 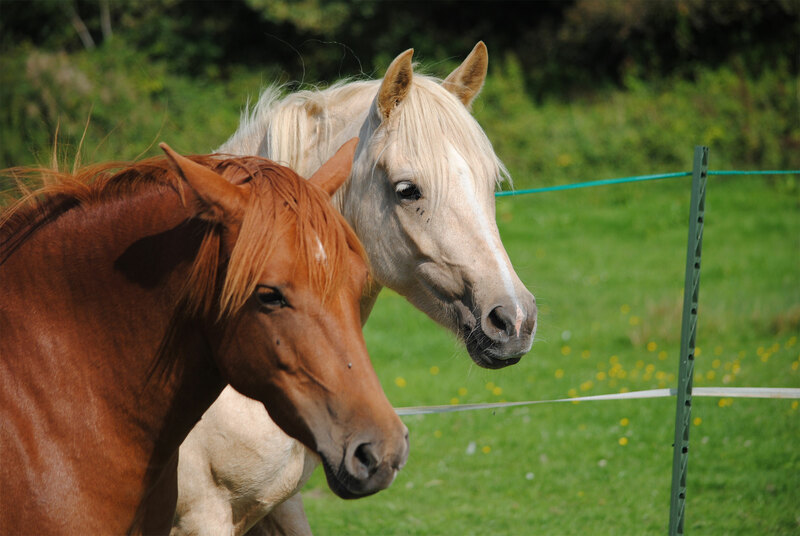 Participants will be able to observe each other with the horses, discuss their experiences and decide how to build better working relationships with their team as a result. Time will be spent reflecting on the personal experiences and discussion will include looking at aspects such as:- Positive V Negative approaches to situations/ Problem Solving/ Barriers to Productivity/ Making Choices leading to empowerment. We have received a Grant from Awards for All to deliver a fully funded sensory inspired project specifically for people with Dementia – supported by a group of volunteers which we will train so part of the grant will be used to train these volunteers, part to develop a sensory garden and part of the funds to evaluate the project through Innovations in Dementia CIC. 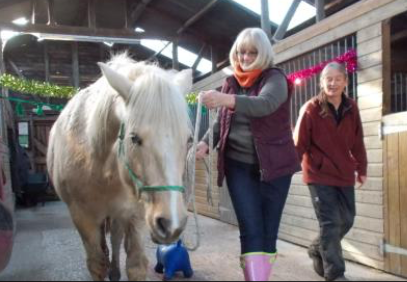 Thus funds for this new project will empower our older learners with new skills, help buy and develop sensory equipment to use outside and extend the opportunities we can offer. As part of this course we will offer sessions (fully funded) for carers of people with Dementia/ Alzeimers as well. Through the Solent Community Grant Round 2 Funding we are running a course over the coming year ( until 31st March 2018) which will enable 17 inactive individuals, with complex barriers to job searching, voluntary or part-time employment. 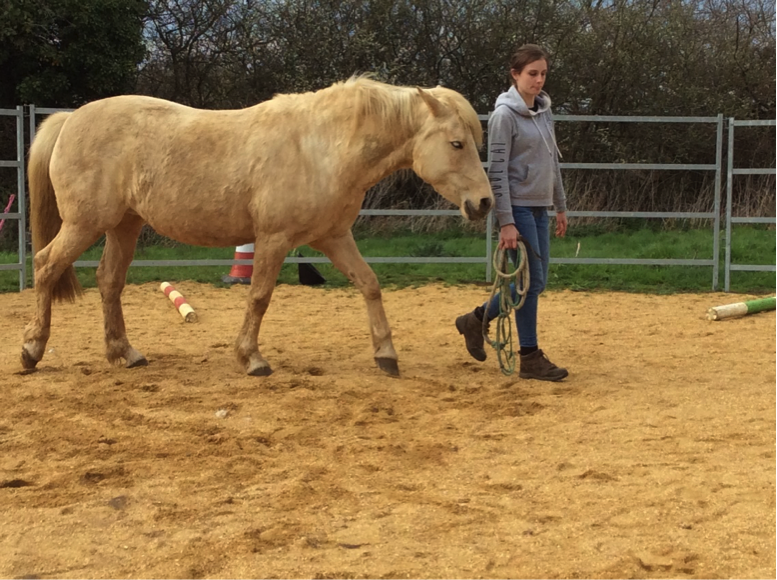 This will be through interaction with our ponies on the ground where they will regain self-confidence. Learners will come every Tuesday morning from 10am to 12 noon over 9 weeks. 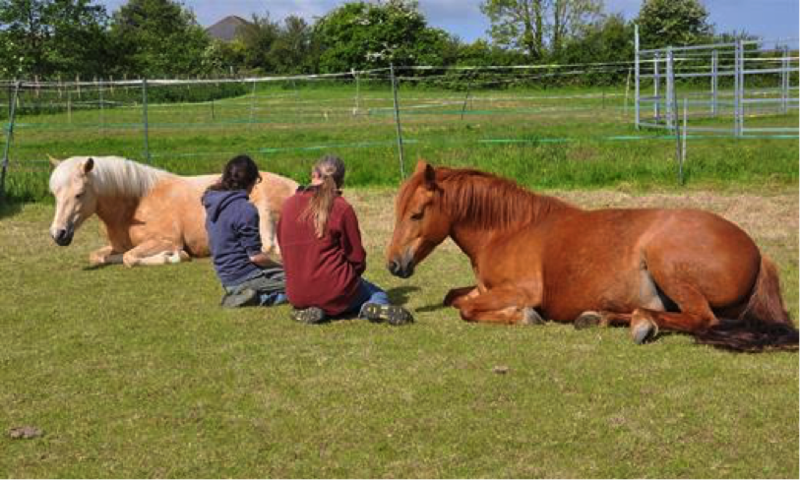 Through interaction with our ponies they will be able to discover more about themselves, make commitments and develop new ways of thinking about possible future employment. Within the course learners will:- develop self-awareness, motivation skills, team building and leadership skills, overcome barriers to learning, develop numeracy and literacy skills, complete a portfolio, CV and taster work experience with our local community partnership link with MC Enhancement who will develop esp. job searching skills. Each learner will complete an NOCN (National Open College Network) Level 1 qualification in “Developing Self-Confidence and Personal-Awareness”. There is no riding involved. During the course each learner will be sign posted to their next step of employment, job searching or further training opportunities. If you are interested in finding out more about this new course do get in touch to come for a visit.